Children will gain confidence and encouragement towards strengthening their literary capabilities in this relaxed but structured course while those who accelerate in this area can continue to build their talents. Available for all elementary classes, ages five and up, sessions are composed of children from all writing levels and sizeable imaginations! If interested in an after school program for your school,please send all inquiries for available dates, times and fees directly to the author/instructor, Suzie Canale, by email to beantowntales@aol.com. 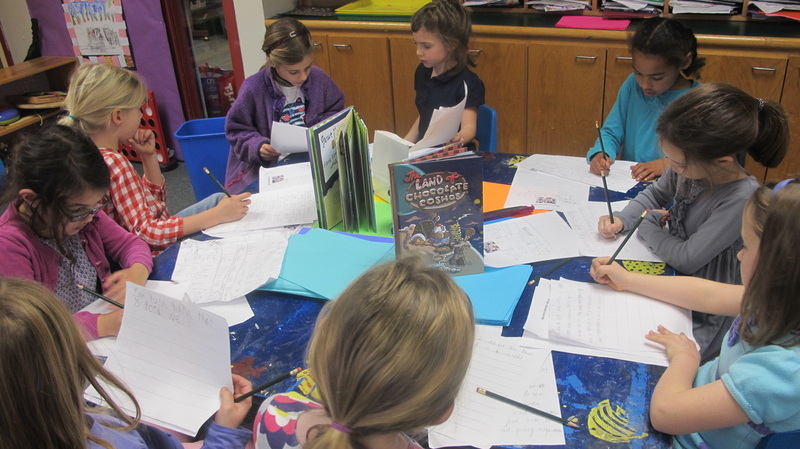 The Beantown Tales has recently added the option of a guest visit from the author, Suzie Canale,to teach a special in school writing class to elementary schools! Structured similarly to the after school program, this 1 to 1 1/2 hour fun book making class will teach students the ins and outs of designing their own publications while practicing their creative writing, art work and of course their imaginations! If interested in this special guestt book making class, please send all inquiries for available dates, times and fees directly to the author/instructor,Suzie Canale,by email to beantowntales@aol.com.